tween fertility rates and pension levels. One is associated with a high fertility rate and a high pension level. between the government and individuals. 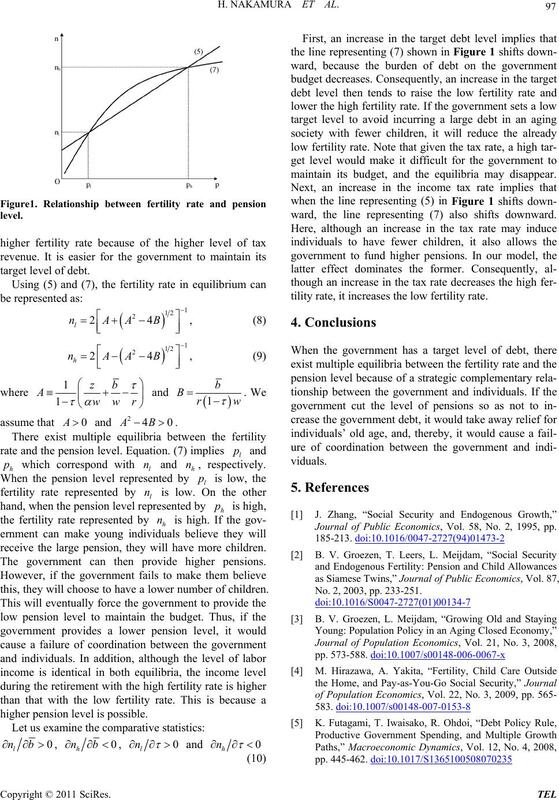 with fewer children and a large public debt1. debt are also evident in South Korea and Germany. and the ratio of pension benefit to labor income is high. We consider a small , open, overlapping-generations model. is the population born in period t-1. balance implies that r/n<1 must hold for convergence. 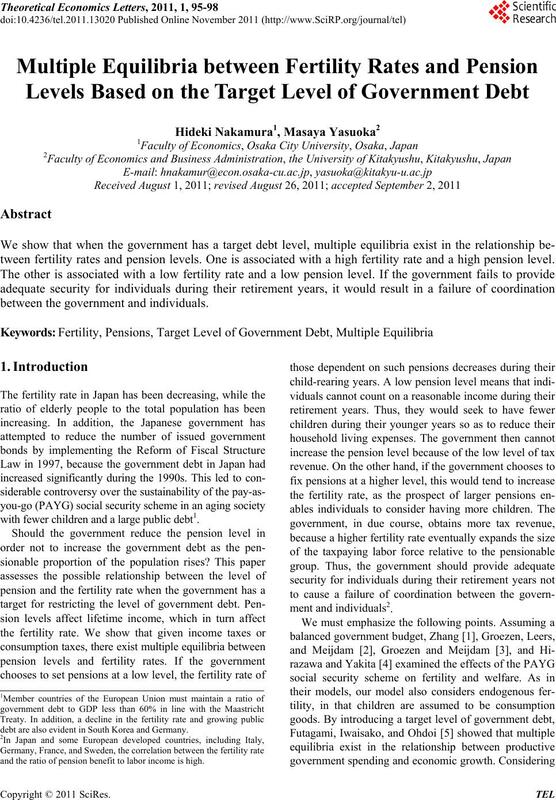 tionship between the fertility rate and the pension level. ever, our res ults would remain intact. h which correspond with l and h, respectively. receive the large pension, they will have more children. The government can then provide higher pensions. this, they will choose to have a lower number of children. higher pension level is possible. maintain its budget, and the equilibria may disappear. ward, the line representing (7) also shifts downward. tility rate, it increases the low fertility rate. 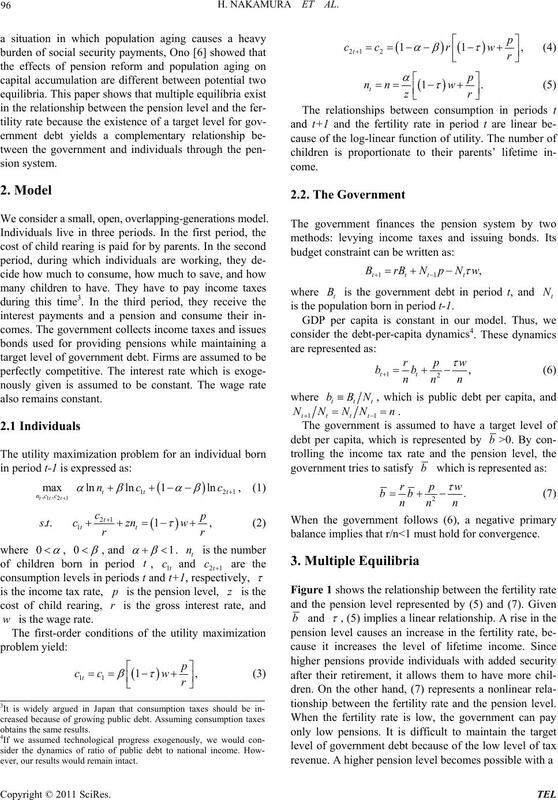 Journal of Public Economics, Vol. 58, No. 2, 1995, pp. No. 2, 2003, pp. 233-251. 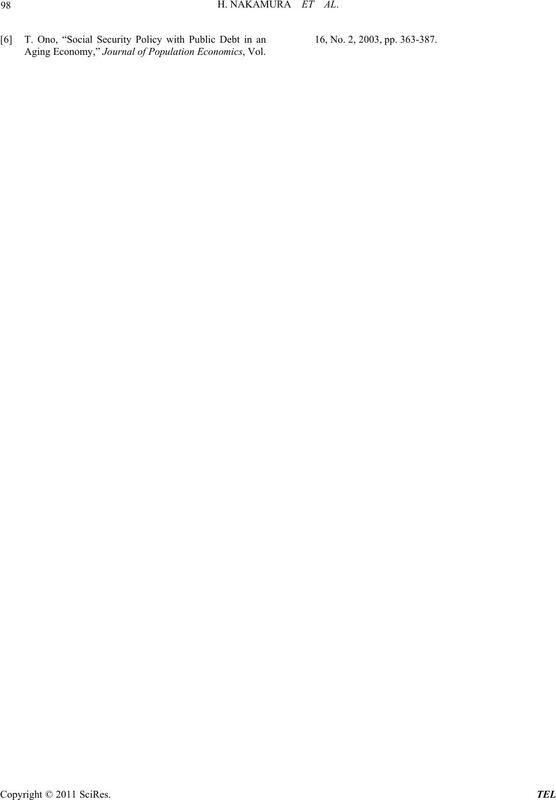 Aging Economy,” Journal of Population Economics, Vol. 16, No. 2, 2003, pp. 363-387.